Want to jump for free? Want to work at the most fun place in town? We're having a hiring fair! We will be hosting a job fair on Monday, May 6th, from 2pm-6pm. We're hiring all positions (information on each position below), and we want you! No need to bring anything but your A-Game and your best, most awesome friends! 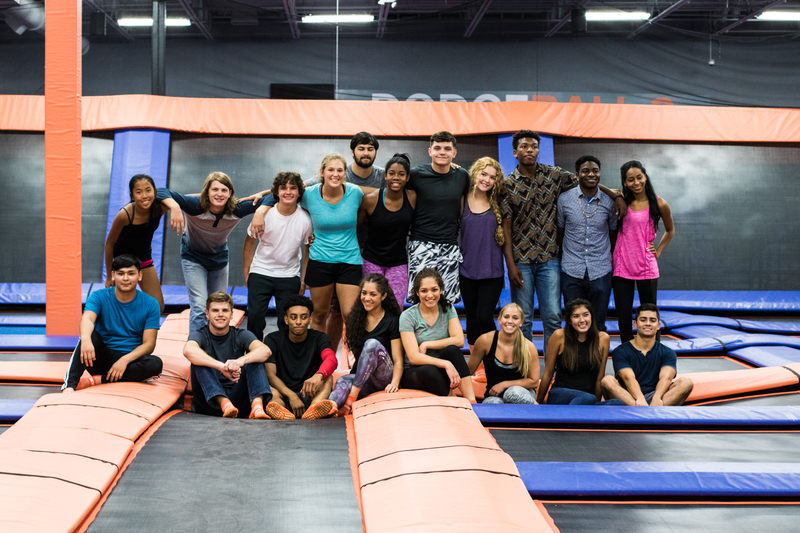 We are looking for energetic and happy folks to bring lots of fun and excitement to Sky Zone, and you might be the next Team Member we need. You must be 16 years old to work at Sky Zone Richmond. Hope to see you then! Team Members who answer phone calls, book parties and events, as well as checking in and working through party logistics with party guests. Good communication skills and a positive attitude are a must! Come join the Sky Zone family and help us be the most fun place to WORK and PLAY! Team Members who help our party jumpers have a good time. Take over logistics for the party mom or dad (or anyone! ), serving food, running games, and making sure the party person feels like royalty. Come join the Sky Zone family and help us be the most fun place to WORK and PLAY! Team members who check in jumpers, introduce people to the park, and help people get the party started early. You'll handle money and good communication is a must! Team Members who make sure our jumpers are playing nice and making everyone feel welcomed and encouraged!